The high costs of printing, postage, getting members to participate and the time necessary to tally ballots are just a few of the daunting challenges faced by homeowners associations (HOAs) when election time rolls around. Lots of time, energy, planning and resources go into each HOA election. When voter turnout is low or when there are issues executing the vote, the affect on HOA staff can be demoralizing. Two words can help change how HOAs approach, view and feel about their election efforts: Online voting. Over twenty states in the US, including: Texas, Virginia, Delaware, Maryland, Washington, South Carolina, Oregon, and Minnesota – have changed their laws to allow HOAs to vote online. Why? Because online voting and HOA elections are a perfect fit. * Allowing members to vote online removes the expense of designing, printing and mailing paper ballots. Online voting saves money and sanity. * When working with the right technology, online voting is safe, secure and accurate. No stressing about a box of paper ballots forgotten in the trunk of someone’s car. * Accuracy counts! Online voting is automated and precise, no more having to worry about manual hand counts, tallying and duplicate ballots. * When members vote online, HOAs gain valuable voter data. You can easily segment reports based on the information you need to improve future election efforts. * Online voting can increase HOA member participation in elections. When voting is easy and convenient, members vote. It’s that simple. There’s even mobile technology that allows members to vote from smartphones and tablets – wherever, whenever. And online voting is completely transparent so members see the process upfront and understand there is no mismanagement or fraud. Need to reach a quorum? 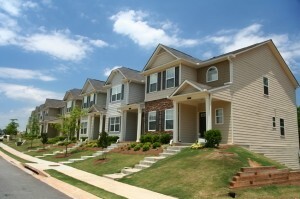 Reach out to your HOA members in the way that’s comfortable and easy for them. For more information on making the move to an online election system, check out our FREE Online Voting e-book here. Has your HOA tried online voting? Why or why not? Previous Previous post: Webinar: Raise Voter Participation in 2014!